As a fitness center owner, your goal is to provide the best name brands so that your members get the right gym equipment. Those brand names often come with expensive price tags. As you will need a number of each equipment types, choosing refurbished gym equipment from Fitness Depot Direct will allow you to stretch your budget by getting the essentials you need at discount prices. Here are five reasons to choose us for your refurbished gym equipment fitness studio. Fitness Depot Direct’s refurbishing process renews gym equipment to a like-new condition which gives your fitness center the quality reputation it needs to attract new members. The refurbished gym equipment for rent or sale undergoes extensive quality control that rebuilds or replaces frames, motors, electronics, overlays, belts, decks, plastics, finish, and shrouds which is an ideal purchase for private health clubs, hotels, businesses, hospitals, medical caregivers, physical therapists, and wellness clinics. Brand name gym equipment is expensive. 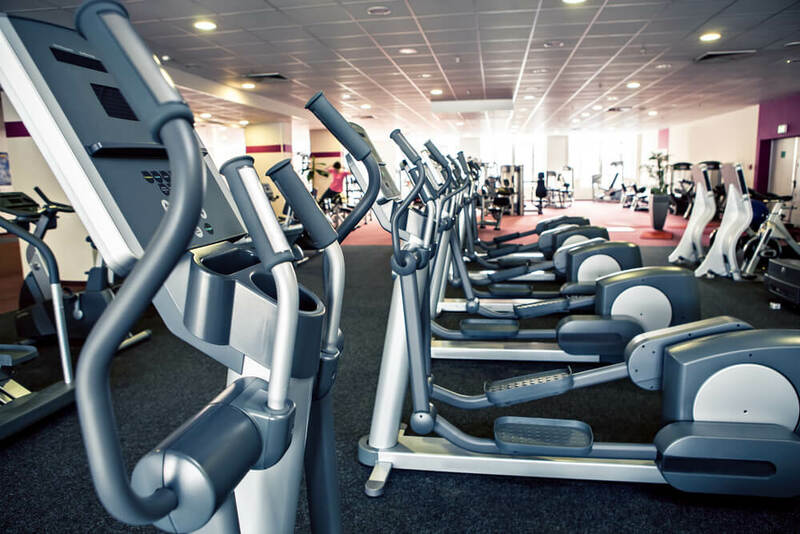 Buying refurbished gym equipment allows you to replace your equipment every three years with like-new brand names that help to maintain a complete, quality gym that rivals your competitors. Refurbished equipment will also allow you to invest in more pieces which gives you the time to focus on mind and body health and wellness rather than the continual costs to run a business. A benefit to having access to a refurbished gym equipment store is that you have a competent source to buy, sell, or rent like-new pieces when you need them. You will also be able to sell aging pieces to Fitness Depot Direct to offset your replacement costs which reduce operating costs significantly. It provides your members with the best brands at cheap refurbished gym equipment prices including Life Fitness, Cybex, Schwinn, Woodway, Stairmaster, and many more which provide lasting health benefits. Unlike other refurbished gym equipment stores, Fitness Depot Direct gives you a warranty on our products as we know our refurbishing process is designed to make equipment last. We also give a five business day return policy after a product’s arrival to test your equipment as we want our customers to trust our refurbishing process standards. Our president of Fitness Depot Direct, Jeff Thomsen, is a health and fitness expert with over two decades of industry experience. He has worked his way up from membership sales to director of training and on to become a business owner. It is with this dedication that he has developed a strong outlook on the value of refurbished fitness equipment which he hopes will empower new fitness business owners to invest in their goals. Whether you want to buy, sell, or rent refurbished gym equipment from Fitness Depot Direct, our terms and pricing models make it possible for you to achieve your fitness business goals.